Effective early reading intervention depends on research and practice that leads to positive changes in classroom practice and better student reading outcomes. 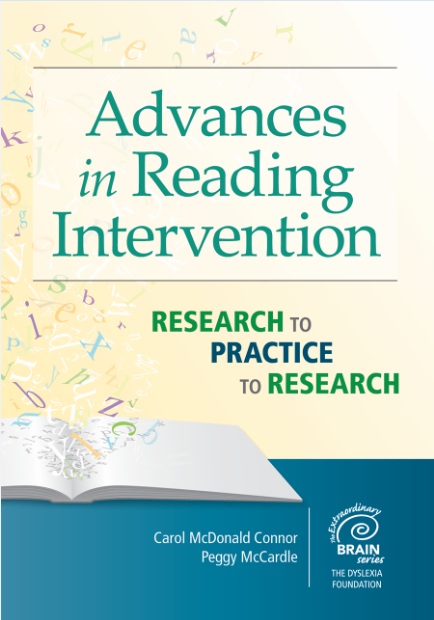 This important volume promotes the valuable “research to practice to research” loop, bringing top experts and practitioners together to examine what we know—and what we need to know—about effective reading and writing intervention. The newest addition to the respected Extraordinary Brain series, this book compiles and expands on critical findings presented at The Dyslexia Foundation’s biannual symposium. More than 35 researchers and practitioners explore the latest on topics relevant to effective reading and writing education, from neurobiology and genetics to specific strategies for translating research into intervention—and learning from the results of these interventions to inform new research. The concluding chapters map out key priorities for future research and innovation. An essential text for teachers, reading specialists, reading researchers, administrators, and students in graduate courses, this volume marks a significant step toward resolving the literacy challenges of young learners. It will also help move the field toward a firmly established “research to practice to research” collaboration among researchers and practitioners.